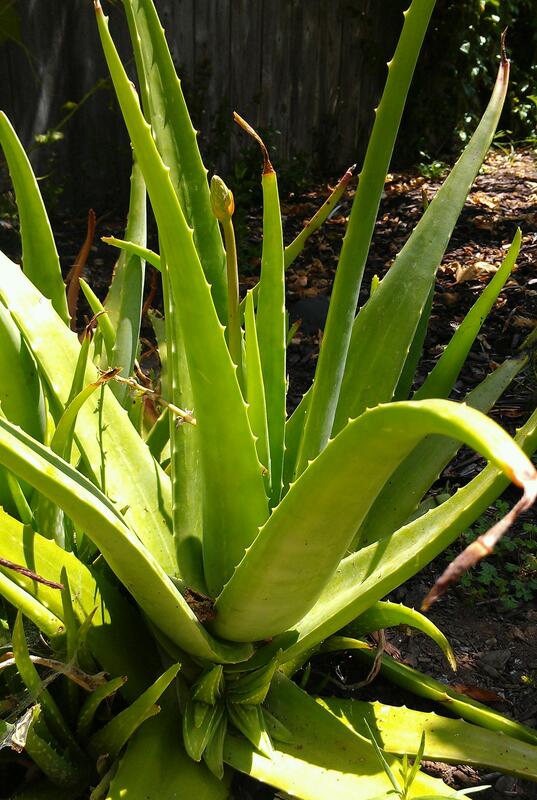 Aloe is a tried and true natural remedy for sunburns. Aloe Vera. Slather on the Aloe Vera gel to instantly soothe, moisturize, cool, and begin healing sun-scorched skin. It’s also effective at accelerating wound healing and treating thermal and radiation burns. For best results, use fresh Aloe Vera from a plant after washing the leaf and “filleting” the outer layer to expose the gel being careful not to tear the green rind. Store the remaining gel in the fridge for an extra cooling effect. Bottled gel can be used as well, but it doesn’t contain all of the healing properties of the fresh gel, unfortunately. Aromatherapy. Heal your skin and lift your mood with a little aromatherapy! Many essential oils (e.g., lavender, chamomile, helichrysum, carrot seed, etc.) have therapeutic actions that are especially healing, such as reducing inflammation, relieving pain, and preventing infections — all great things for sunburns! In addition, some oils, such as frankincense, lavender, and neroli, are calming to the nervous system, so they help you feel better and relax when you’re feeling miserable with a really bad burn. Check out “Aromatherapy Treatments for Sunburns” for quick easy ways, such as baths, sprays, and compresses, to use aromatic oils to heal your skin and make you feel better in no time! Cocoa. Did you know that in addition to that bottle of sunscreen, eating some raw cocoa can boost your skin’s ability to fight UV radiation and heal? A German study published in the American Society for Nutrition Journal showed that ingesting high flavanol-rich cocoa (326 mg/day) for about three months protected against UV radiation and improved skin condition by reducing roughness, increasing skin thickness, improving moisture retention, and enhancing dermal circulation. That’s enough reason to start eating more chocolate! Check out “Cocoa: Good for the Skin” for a great summer-time, Chocolate Smoothie recipe! Compresses & Baths. Sometimes all you need to cool down the burn and relieve the pain is some good ol’ water. Soak some soft cloths, such as cut-up T-shirts, in a bowl of ice water, wring them out, and apply to sensitive skin areas. You can also try adding in some baking soda, ground oatmeal (grind oatmeal cereal in a coffee grinder), or colloidal oatmeal, available in drug stores from such manufacturers as Aveeno, to the water to help soothe itchy, sunburned skin. Re-soak the cloth when it feels warm and repeat several times a day. Another option is to try a simple soak in a cool bath, but don’t suds up with soap, because it will only dry and irritate the skin. Cucumbers. Cool down with cucumbers. Their anti-inflammatory properties and high water, vitamin, and mineral content are great for nourishing the skin. Throw some cucumbers into a food processor or dice and mash cucumbers to create a slurry, refrigerate it for awhile, and apply it to your skin for instant cooling relief! Also, why not reserve a few cucumber slices to make cucumber spa water and replenish yourself from the inside out, too? Fluids. Hydrate, hydrate, hydrate. Spending too much time in the sun can sometimes leave you dehydrated in addition to sunburned. If that’s the case, your body — and every single cell in it — badly needs some H2O to start the healing process. So be aware of the need to drink plenty fluids and avoid diuretics, such as coffee. If you’re not a fan of plain water, jazz things up with lemon water. Yogurt. Just as it’s good for homemade facials, yogurt is awesome for moisturizing sunburned skin, especially when it’s close to the peeling stage. Refrigerated yogurt instantly cools the skin and the lactic acid in it gently sloughs away dead skin cells, allowing new cells to regenerate.